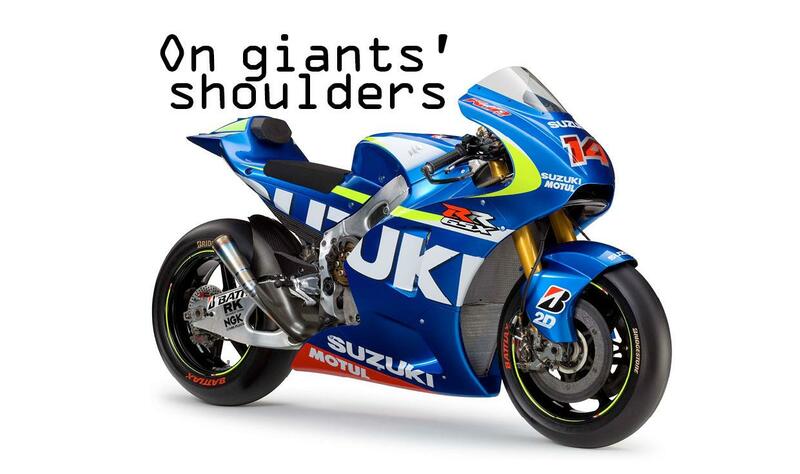 From rinky-dinky 50cc racers to big ’n’ brutal superbikes, Suzuki have won pretty much every championship going on the global racing scene – though it's been easy to forget in the years it's taken the firm to get back to the sharp end in MotoGP. t’s been a long and winding road for Suzuki. The Japanese factory that endured the toughest of starts to its racing career has gone on to win everything – from 500 GPs to World Superbike, from the Isle of Man TT to the Daytona 200 and from multiple successes in the Le Mans 24 Hours to a single MotoGP victory. Along the way Suzuki has allowed us to witness some legendary machines and some legendary names, from those scary sit-up-and-beg Yoshimura Superbikes to Grand Prix genius Kevin Schwantz. And all this despite the fact that Suzuki has always been the little brother of the big four Japanese factories, unable to muster the racing budgets afforded by its richer rivals. Suzuki won its first race – up the side of Mount Fuji – in 1953 but the company’s debut international racing adventure was a joke. 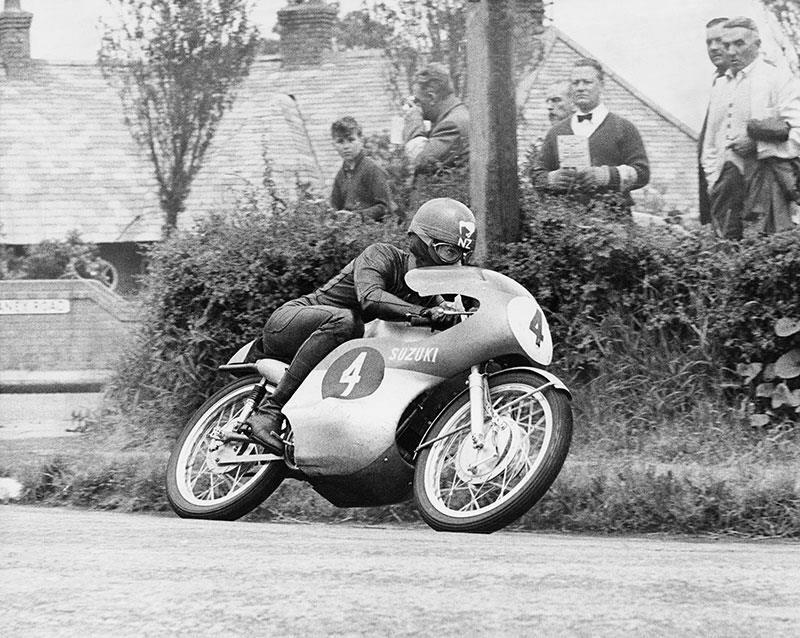 Its first Grand Prix bikes were dog-slow 125 two-stroke singles that struggled to make it into the top 15 at the 1960 TT. MV Agusta’s winning 125 averaged 85mph in that race, the fastest Suzuki couldn’t even average 70mph. 1961 was even worse, which is what encouraged Suzuki management to set in motion what turned out to be the greatest story in motorcycle racing history. The tale of how Suzuki lured Ernst Degner away from East German MZ, bringing with him the winning two-stroke knowhow of engineer Walter Kaaden, is a classic James Bond-style story of Cold War skulduggery. But all that mattered to Suzuki was that it saved them several years of development in one fell swoop. The very next summer Suzuki won its first GPs and its first World Championship. Suzuki were in the thick of it during GP racing’s ‘Golden Era’ of the 1960s, creating ever-more exotic two-stroke racing machines as they fought a mesmerising arms race with Honda and Yamaha. At the height of this war the company’s ingenious engineers built a three-cylinder 50! The triple made 18 horsepower at 19,000rpm and had a 14-speed gearbox. But it never raced. The 1970s was perhaps Suzuki’s greatest decade, with Barry Sheene turning millions onto biking as he swept to GP glory in a sweet-smelling haze of two-stroke fumes and Brut 33. At the same time Suzuki moved into four-strokes and its sit-up-and-beg GS1000 Superbike was fast enough to win first-time out. The GS eventually spawned the GSX-R which has been the spirit of Suzuki ever since. There’s not a big race that the factory’s four-strokes haven’t won, but it’s probably in endurance racing that Suzuki has enjoyed its greatest successes, with 12 long-distance world titles. Things have been tougher in recent years. Suzuki never quite got to grips with MotoGP with its GSV-R, if only because the factory only invested a fraction of what Honda and Yamaha are prepared to spend. The GSV-R was a great motorcycle, but never quite great enough. At its best it was only a second or so slower than the fastest bikes out there, which meant it was about one per cent less effective than Honda’s RCV and Yamaha’s M1. The GSV-R didn’t deserve to be scrapped. But it's the late-arriving GSX-RR that at last embodies something approaching the spirit of its race-winning forebears. 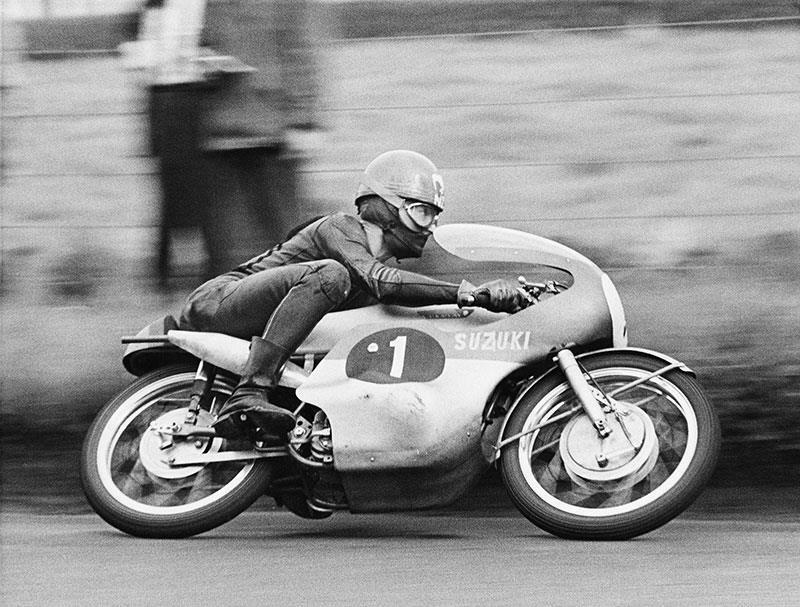 It was a teeny-weeny 50 that put Suzuki on the road to racing glory. 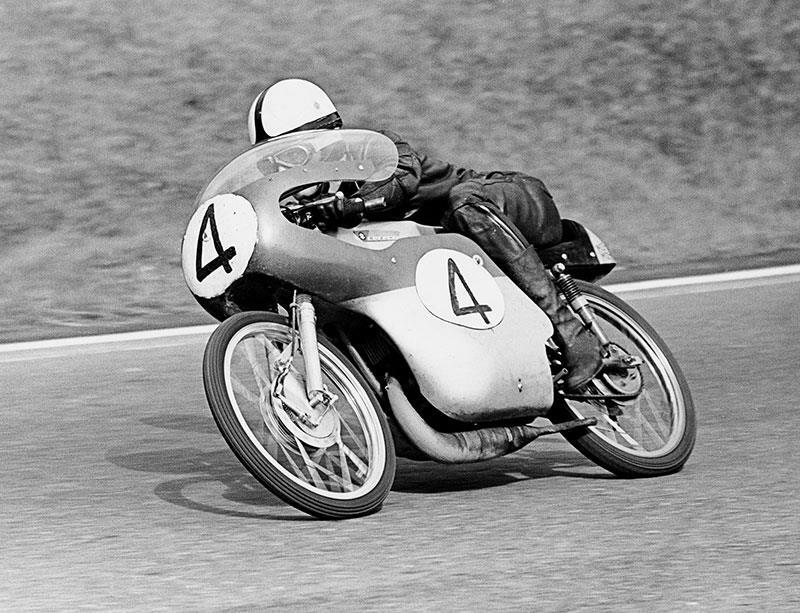 The RM62 took Ernst Degner to Suzuki’s first world title, the 1962 50cc World Championship. Former MZ rider Degner had defected from East Germany the previous summer and the knowledge he brought with him helped create Suzuki’s first competitive GP bike. The RM62 was as puny as they come – a buzzy little disc-valve two-stroke that was fed through a 19mm carb and ran on skinny two-inch Avon tyres. The engine screamed out eight horsepower through a 700rpm power-band that required Degner to keep tap, tap, tapping through the eight-speed gearbox. On a good day the RM62 could nudge 90mph. No wonder Degner was always on a diet and asked friends not to eat chocolate in his presence. When Honda took the 50cc title away from Suzuki with its 21,000rpm four-stroke twin, Suzuki responded with a two-stroke twin that won the 1967 and ’68 titles. This neatly designed 125 was Suzuki’s first great GP bike. The RT63 twin swept all before it in the 1963 125 World Championship, during which canny Kiwi Hugh Anderson dismissed the challenge of Honda’s new four-cylinder four-stroke. 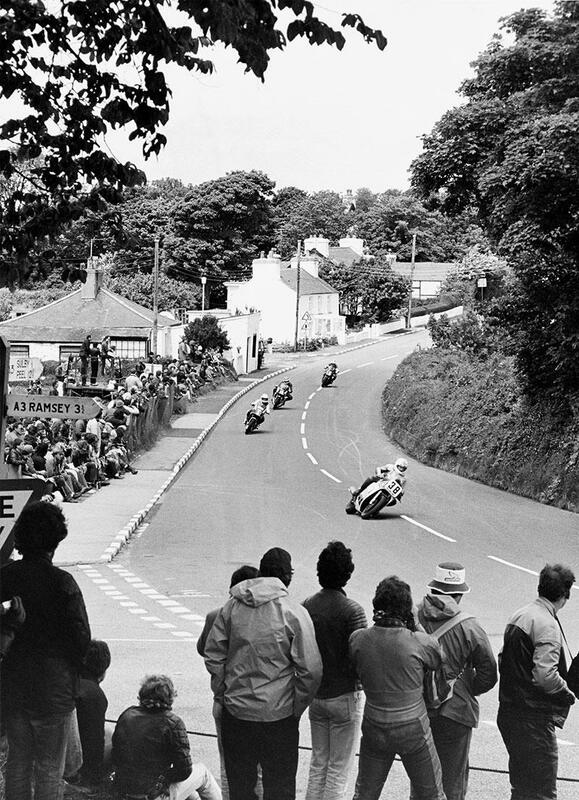 The bike also scored Suzuki’s first Isle of Man one-two-three: Anderson followed home by Frank Perris and Ernst Degner. A neatly designed air-cooled reverse-cylinder twin with full-loop frame, the RT63 made 26 horsepower at 12,000rpm. Two-strokes were notoriously unreliable at this time when many a rider was killed or injured by piston or crankshaft seizures. The RT63 was better than most, so long as it was meticulously maintained. A good crank might – the emphasis being on might – survive 200 miles. Suzuki’s first square-four was the epitome of the seize-prone 1960s two-stroke. Tough Aussie rider Jack Ahearn christened the 250 “Whispering Death” because the seizures always caught him unawares. The RZ was damn fast – later versions could hit 150mph and give a 500 MV a run for its money – but it never won a GP because it was heavy, difficult to set up and unreliable. Its Achilles heel was big-end cages, which were eventually coated in silver to reduce seizures. The TR750 was based on Suzuki’s first superbike, the water-cooled GT750 two-stroke triple, nicknamed ‘The Kettle’. Like other 750 two-stroke race bikes of the era the TR750 had a reputation for jaw-dropping speed and evil behaviour. Early TRs wobbled so badly at high-speed that racers called the bike the ‘flexi-flier’. It might have been scary but by 1973 the TR was good enough to take Barry Sheene to his first World Championship, the inaugural F750 title. Two years later Sheene nearly died on another TR, when its rear tyre exploded as he tore round the Daytona banking at 175mph. At that stage in racing history the tyre makers were struggling to create tyres that could cope with these new 100-plus horsepower racer bikes. The RG500 was the bike that secured Suzuki’s legend. The square-four 500 two-stroke was created using knowhow gained from the horrible 250 square-four and yet the RG could hardly have been more successful. Factory RGs won four riders’ 500 World Championships (Barry Sheene in 1976 and 1977, Marc Lucchinelli in 1981 and Franco Uncini in 1982) and seven consecutive constructors’ world titles. Even more impressive was the RG’s performance in the hands of privateers – in 1976 the RG filled all but one of the top 12 places in the 500 championship – and the bike won thousands of races from GPs to club races. 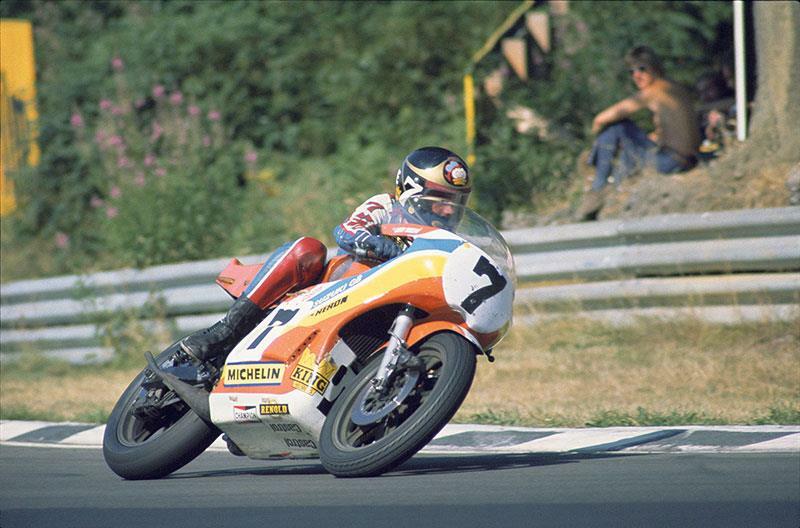 In 1974 Sheene laid the foundations for his RG successes by spending five weeks in Japan doing development work. 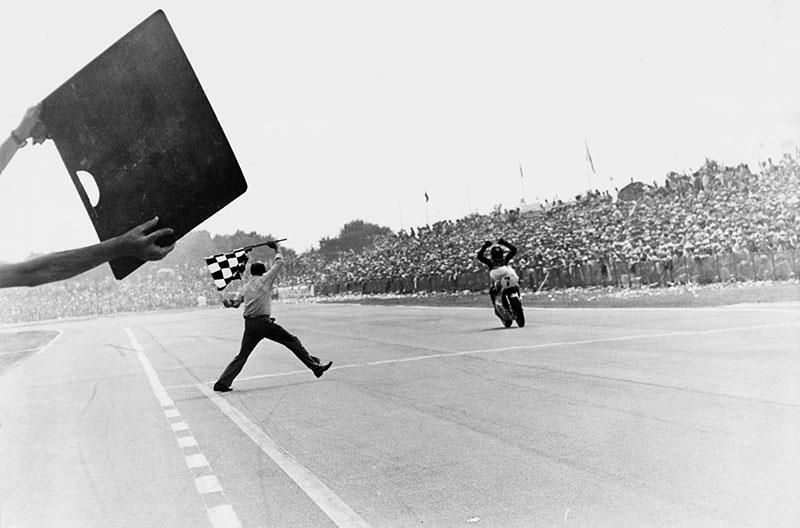 What he called “the biggest jail sentence of my life” paid off and in 1975 Sheene won the RG’s first GP victory. Over the next seven years – an incredible winning lifespan at GP level – the RG won another 49 victories. In the wake of emissions legislation Suzuki were the last of the big Japanese factories to realise that four-strokes were the future. But when they switched their attention from smoky ol’ two-strokes they didn’t take long to catch up. The GS1000 was Suzuki’s first litre four-stroke street bike and it won the Daytona Superbike race at its first attempt in 1978, with Steve McLaughlin pulling the throttle. Suzuki had Japanese tuning genius Pops Yoshimura to thank for turning the GS into a missile. 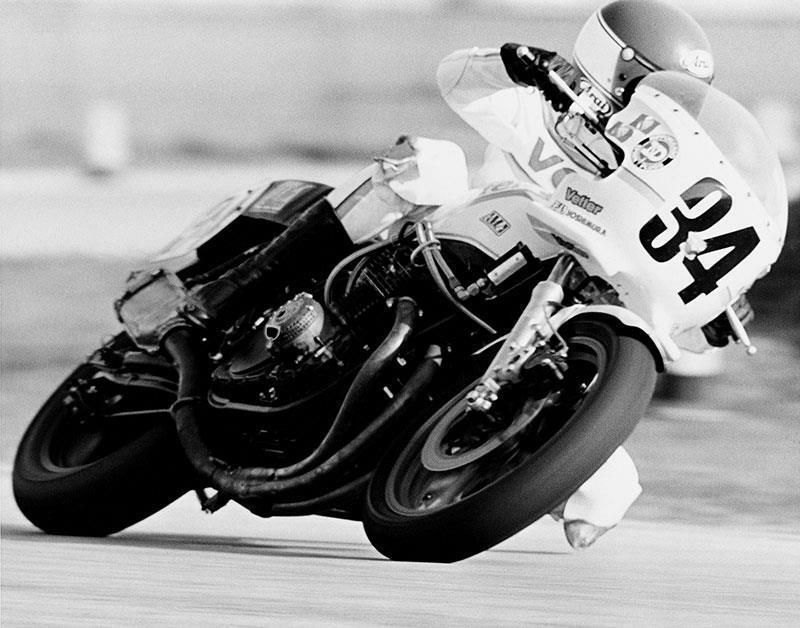 Yoshimura transformed the big four from 90 horsepower streetbike into a 130mph racer that also scored successes with Graeme Crosby, Wes Cooley, David Aldana and others. While Superbike racing became the big thing in the US during the early 1980s, the new craze in Britain was TT-F1, a World Championship for race bikes powered by 1000cc road engines. Honda were the main force in TT-F1 until Suzuki came along with the XR69, a 130bhp GS1000 engine in a race chassis largely derived from the RG500. The XR69 swept all before it in 1980 – Graeme Crosby won the TT-F1 world title and also took victory in the big Suzuka Eight Hours race, partnered by Wes Cooley. 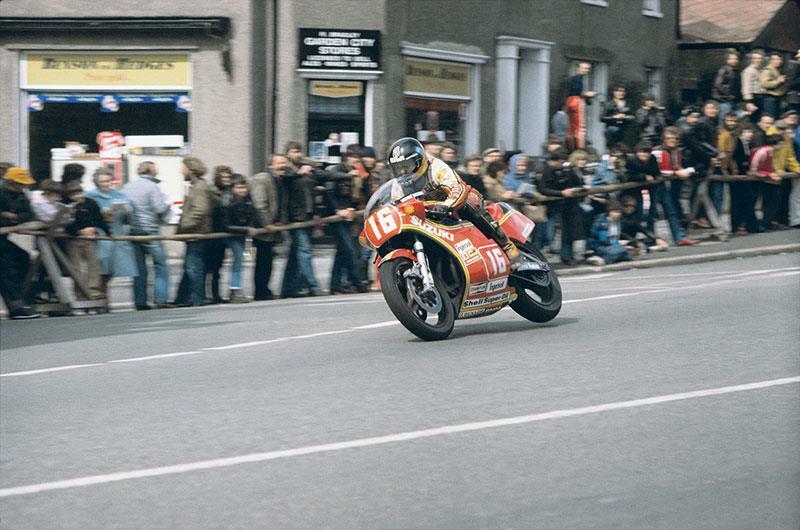 The following summer Croz retained the F1 title and also scored Suzuki’s first four-stroke success on the Isle of Man, winning the F1 race ahead of Honda’s Ron Haslam and Joey Dunlop. No wonder that Croz – who also raced factory 500s for Suzuki and Yamaha – rates the 69 as his all-time favourite race bike. Suzuki were way ahead of the rest when they launched the first GSX-R road bike in 1985. The GSX-R750 was built to rule Superbike racing – by then the only class that mattered in the US market – but also arrived at just the right time to rule the UK scene’s latest craze: bog-stock proddie racing. The first GSX-R was fast but also flighty and fragile, early models troubled by high-speed stability issues and con-rod breakages. And yet in bog-stock form the bike ruled the 1985 Isle of Man proddie TT, filling the first four positions, headed by veteran Mick Grant. That same season Grant also dominated the brand-new MCN Superstock championship on a hopped-up GSX-R, soundly beating Honda VFR750s and Yamaha FZ750s. In 1988 a factory GSX-R won the endurance World Championship while Kevin Schwantz won Suzuki’s first-ever Daytona 200 victory on a GSX-R.
After a few years absence Suzuki rejoined the 500 World Championship in 1987 with the V4 RGV500. V4 was now the way to go, Honda and Yamaha V4s having dominated the previous three championships. 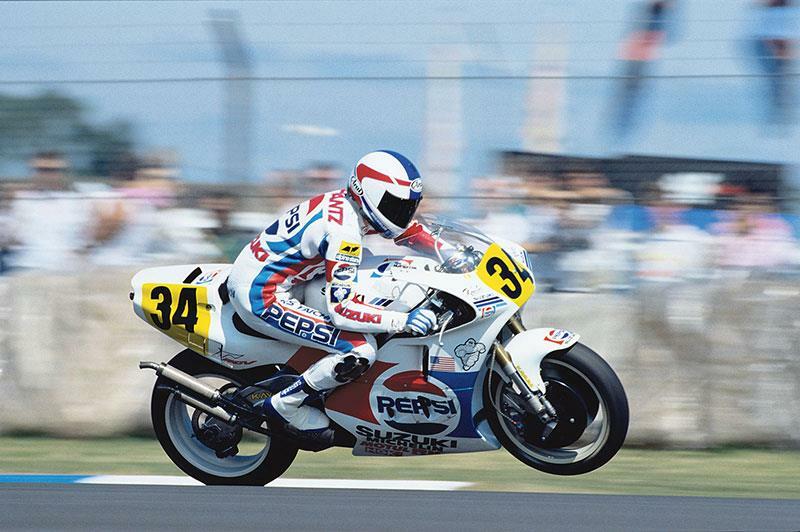 Schwantz won his first GP on the RGV in 1988, but he didn’t carry off the title until 1993. The RGV500 often lacked outright horsepower but the bike was always superb through the corners, helping Schwantz with his crowd-pleasing antics – up the inside of Mick Doohan and round the outside of Wayne Rainey. Seven years later the RGV500 won its second world title, this time in the hands of Kenny Roberts Junior. By then the bike was producing almost 190 horsepower. 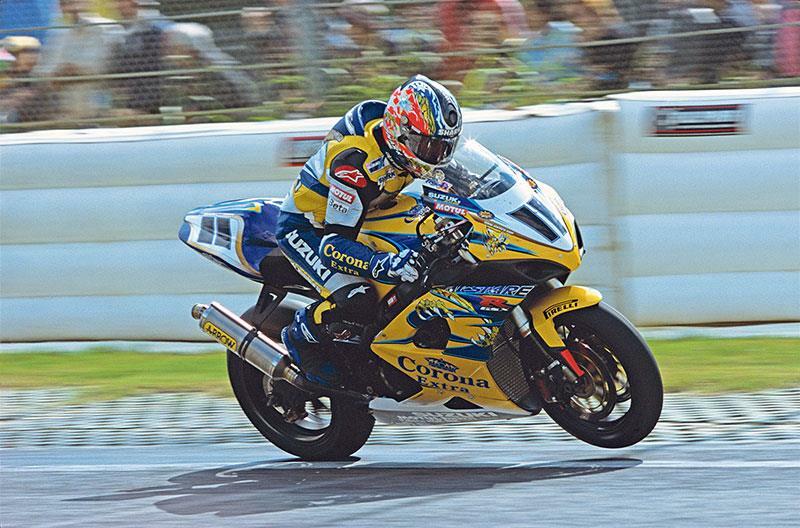 Hard to believe it – when you consider Suzuki had been a major player in Superbike racing since the late 1970s – that it took the company until 2005 to win its first World Superbike crown. Perhaps it was because Suzuki didn’t usually bother with full-factory involvement that the GSX-R never got close to winning the WSB title until Troy Corser’s 2005 success, in the championship’s 18th year. In fact Corser’s GSX-R1000 K5 wasn’t a full-factory bike either. It was entered by the Belgian Alstare team that used more local knowledge than Japanese factory support to create a rider-friendly GSX-R that had the Australian dominate the series. Earlier GSX-R1000s had been cursed by peaky engines that overpowered rear tyres. Alstare tamed the beast via plenty of dyno work and clever tuning. YOU’RE stood at the side of the track. It’s quiet other than the rustle of the wind in the grass.